It’s become a workout favorite—peddling like crazy on a stationary bike to music or the sound of a coach’s voice encouraging you to do your very best. Spin classes help participants gain strength, endurance , and shed pound, too. The following are the best spin classes in Massachusetts. Drop in when your desire for a workout beckons! Located in Harvard Square, the Handle Bar offers spin classes for all levels. The state of the art studio is modern and comfortable, and the coaches are well trained and make the classes fun. VitalCycle is known not just for the amazing classes they offer, but also for the sense of community inspired. Class participants feel like members of an elite team that encourages one another, not just physically, but mentally and emotionally, too. Sweat Cycling is a boutique spin class facility, and their claim to fame is their Sweat Ride. It features a 45 minute ride that incorporates weights and resistance, and provides a complete workout. Check them out—your first ride is free! Even though Studio Five Fitness is a complete fitness center, the spin classes they offer get rave reviews. Classes are designed for every level and for the kind of results you think you should achieve. They don’t impose their beliefs in how much you should achieve, believing that everyone is unique. The atmosphere makes even anti-fitness center people instantly feel at home. Featuring 30 Rev’d bikes and 40 classes per week, there’s always room at Rev’d. The facilities are top-notch and you can try out your first class for just $10. The towel service is a nice touch, too. Focus on Fitness is a full service fitness club and their spin classes are incredibly popular. Their trainers are motivated to help each member meet his or her own goals. The spin coaches are seasoned and hold exciting classes. Tanya Gets You Fit offers personal training as well as group spin classes held at two local locations. With Tanya in charge, you’ll feel the burn and watch the results as they take place. Her classes come highly recommended. Evolve Fitness offers exceptional spin classes as part of a whole-body training program. You can sign up for various classes or just stick to spin—whichever you prefer. The gym is modern and equipped with state of the art cycles. Spin classes are fun and functional at Every Body Balance. The cardiovascular workout and muscle toning is beneficial to all who participate. Don’t worry if you’ve never done a spin class before. Classes are available for beginners on up. 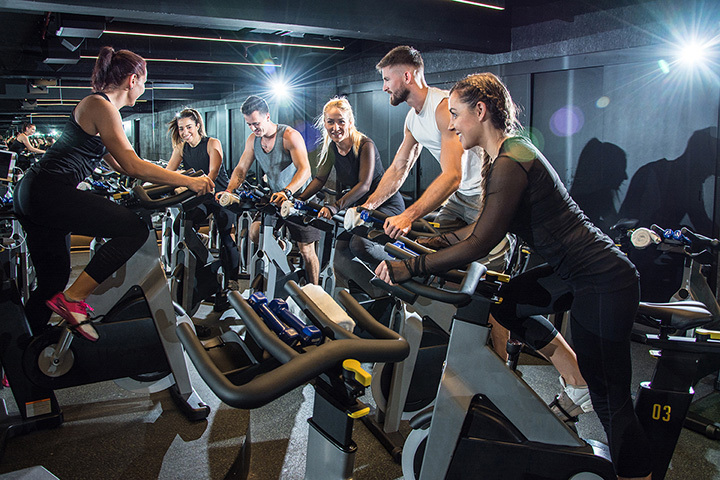 Studio 13 Fitness not only has an expert staff but offers an exhilarating spin class that will leave you feeling proud of yourself at the end of it. The certified trainers here are tops in their field.